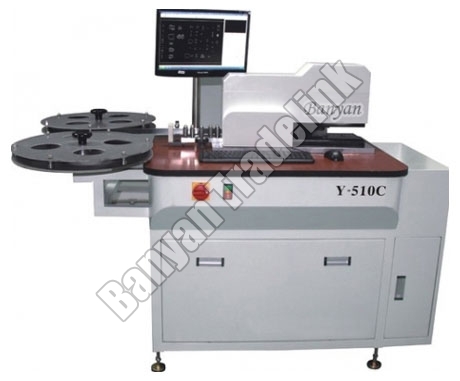 Auto Bender Machine (ZY-510C) is used for steel rule bending for die. Our company has showcased its presence among the leading Importer, Supplier and Exporter of Auto Bender Machine (ZY-510C) from Gujarat. These Auto Bender Machine (ZY-510C) helps in automatic lipping, cutting, bending, flat cutting, and bridging. It supports different file formats like DXF, AI and NC and has complete English interface, which is easy to learn and understand.